SNAFU! : Where is ACV Increment 1.2, a tracked, fully amphibious version? We should be working on it now! 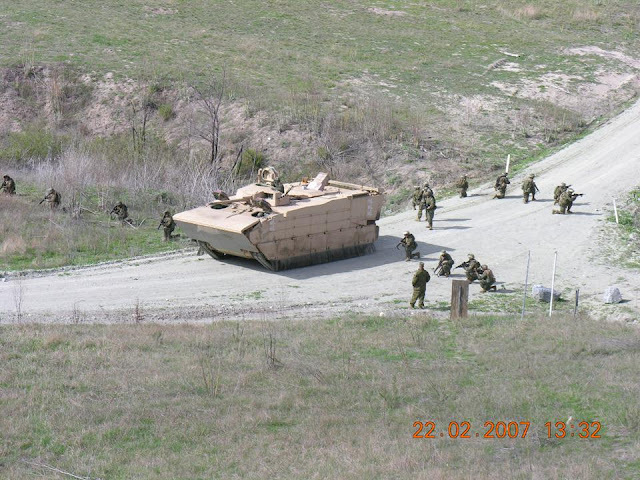 Where is ACV Increment 1.2, a tracked, fully amphibious version? We should be working on it now! On these pages we've been hot and bothered about ACV 1.1. The wheeled version that the Marine Corps is suppose to start buying sometime this year (assuming that it isn't delayed further) but that's only half the story. On June 14, 2013, Marine leadership put the MPC program “on ice” due to budgetary pressures but suggested the program might be resurrected some 10 years down the road when budgetary resources might be more favorable. In what was described as a “drastic shift,” the Marines decided to “resurrect” the MPC in March 2014. The Marines designated the MPC as ACV Increment 1.1 and planned to acquire about 200 vehicles. 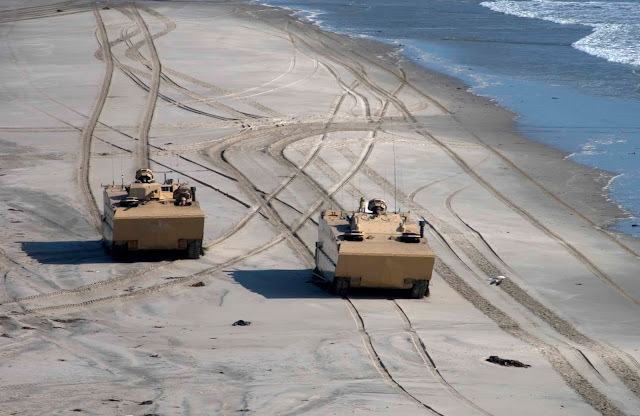 The Marines also plan to develop ACV Increment 1.2, a tracked, fully amphibious version, and to acquire about 470 vehicles and fund an ongoing high water speed study. Although ACV Increment 1.1 is to have a swim capability, another mode of transport (ship or aircraft) would be required to get the vehicles from ship to shore. I hate saying dudes name so much because it gives me heartburn, but this is the Amos plan after the tribe went batshit when he canned the Marine Personnel Carrier. One or more of these vehicles will probably never see the light of day and it gets in the way of a plan (in my opinion) to try and reach an end point where the heaviest ground vehicles the Marine Corps has is the MTVR, with the JLTV being the primary combat vehicle (air centric Corps rears its ugly head again). But put my suspicions aside. If we're actually suppose to be working on an ACV 1.2 then where is it in the budget documents? Where is the request for information from industry on the project? Which manufacturers are assigning engineers to work the problem? Is the real or Memorex (if you're too young to get the reference then look it up)?